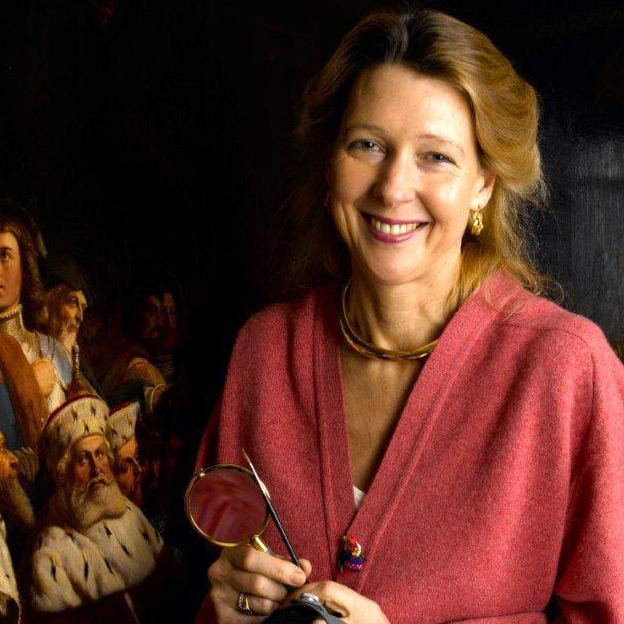 Julia Korner is a specialist and lecturer in fine art conservation and the restoration of paintings, sculptures and frames. She is also a valuer, passionate collector, advisor and curator of paintings and works of art. Julia trained in art history, sculpture and graphic illustration in Cambridge, England. Then, for twenty years, she worked for Christie's as a paintings specialist, building extensive knowledge of Old Masters, and of British, European and American paintings from the 1700s onwards. She set up Christie's Maritime Department in 1987, followed by the Frame sales, the Aeronautical, Exploration and Travel and the Polar sales. Julia was elected Huntington Fellow of the Mariners' Museum, Newport New, Virginia, USA, in 1997. A seven year commitment saw her catalogue this collection and of its sister organisation, the South Street Seaport Museum, New York. Julia has worked independently in her own studio in West London for almost twenty years. Here, she and her small team give specialist conservation work personal and expert attention. Damaged paintings, polychrome statues, frames, over-mantles, traditional gold leaf and gesso frames all emerge restored and transformed under her expertise, knowledge and care. Julia acts as an advisor, valuer and exhibition curator for public and private collections, in the UK and abroad. She also gives illustrated talks and lectures. She is an elected member of The British Antique Dealers' Association, (and exhibits at the annual exhibition), The British Association of Paintings Conservator Restorers, The Worshipful Company of Arts Scholars, The International Institute for Conservation, The Fine Art Trade Guild, The Maritime Information Association, The Museums Association, and The Conservation Consortium.